Fascism: coming to a country near you! 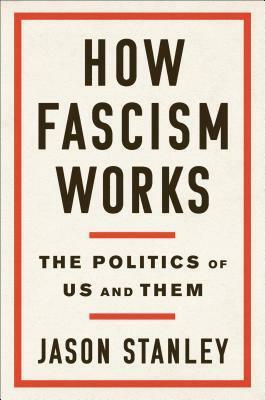 Jason Stanley’s How Fascism Works is an overview of the ten distinct strategies employed by fascists in their thirst for power. Stanley’s family escaped Nazi Germany, so this is clearly a topic he has a personal affinity with. 1. The Mythic Past – the time when things were as they should be for the chosen ones. 2. Propaganda – have to sell the abhorrent. 3. Anti-Intellectualism – can’t have those pesky thinkers pointing out you’re wrong. 4. Unreality – replace reason with fear and anger. 5. Hierarchy – democracy and equality have no place in fascism. 6. Victimhood – that out-group are trying to destroy us! 7. Law and Order – utilise framing to make the out-group look unlawful then actualise that. 8. Sexual Anxiety – this is related to the hierarchy and how women and LGBTQI people undermine this. 9. (Soddom and Gomorrah) Appeals to the Heartland – this is related to the mythic past, hierarchy, and lionising the base of support. 10. (Arbeit Macht Frei) Work Shall Make You Free – dismantling of public welfare and unity as part of attacking the out-group and seizing power. There were two things that disappointed me about this book. The first was that there was a decidedly American-centric feel despite the inclusion of examples from Europe and Africa. Whilst I understand that Stanley is an American Yale Professor with his eye on the rise of fascism in the USA under Trump, he only makes passing mention of this rise occurring elsewhere. Considering the causes of the current rise are global in nature, I’d have liked to have seen a more global view. The second point is related to the first. Stanley does a terrific job of identifying and explaining fascism but he doesn’t go into much depth. I suddenly found myself at the end of the book when I was expecting a bit more, like the above mentioned global view. These are minor points, however, and overall this is a very good introduction to understanding fascism. Sadly, it is a topical book. Also see my review of Antifa, my review of a book on how we got here in Winners Take All, and and my post on BlacKkKlansman. * Then watch it all fall to pieces because fascism tends to destroy itself, but only after doing massive amounts of damage. Is it okay to punch Nazis? What if I told you that is only one of the tactics for dealing with Nazis? The Anti-Fascist Handbook aims to summarise the history of fascism and its opponents, the rise of more recent fascist groups, the lessons from history for dealing with fascism, the issue of “free speech” and fascism, and how to combat fascism today. 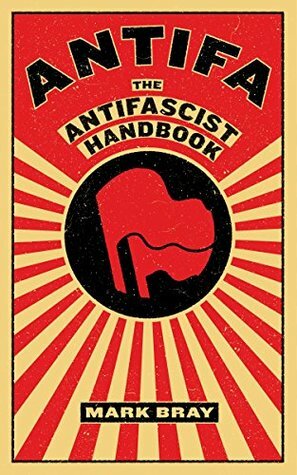 Historian Mark Bray has detailed the tactics of the Antifa movement and the philosophy behind it through interviews and the compilation of history and research into fascism. I’ve noticed that there are several topics that seem to be widely discussed but never with any actual knowledge. Antifa, Black Lives Matter, and other social movements are prime examples. So when I saw Ollie from Philosophy Tube’s video discussing this book (and other related work) I knew that Bray’s book on Antifa would be another of my must reads. I think one of the most important takeaways from this book is that the rise of fascism to power hasn’t historically required huge support, just a lot of apathy from the masses. Too often debates will rage around “free speech” or “is it okay to punch a Nazis” while completely missing the point that fascists are loving being legitimised with any of these debates. Fascist revolutions have never succeeded, they gained power legally. Political leaders/groups are often slower to react to fascism than those on the ground. Fascism steals from left ideology, strategy, imagery, and culture (e.g. the liberal idea of “free speech”). It doesn’t take many fascists to make fascism (Overton windows shift easily). Whilst this was a very interesting and important book, it wasn’t perfect. The coverage of fascism outside of Europe was limited; something Bray acknowledged he wasn’t going to cover in detail and would have been a nice addition – something for the next instalment perhaps. Also, the defining traits of fascism were clearly made, but the differences between groups that fall under that banner, or are adjacent (and thus facilitate normalisation), weren’t discussed. I would have found it interesting to have the discussion of how alt-right and alt-lite differ and how you combat the latter. Minor points that might be in future editions. So before you next hear a professional opinion-haver brand Antifa as terrorists, it would be worth reading this book. There’s nothing quite like a fast paced thriller to keep the blood pumping. Well, except perhaps a double shot of espresso washing down a hit of speed after an eightball. I think reading might be easier on the heart, though. 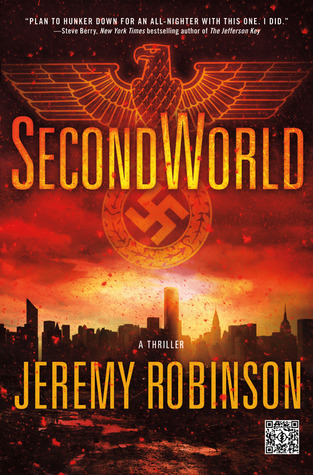 Jeremy Robinson’s SecondWorld has probably one of the more suspenseful openings I’ve read in a while. His hero, Lincoln Miller, is stuck underwater with no air left, only to surface and find no air to breath thanks to some mysterious red flakes soaking up the oxygen. If the lack of air wasn’t bad enough, he’s being hunted by a shark. Like I said, suspenseful. Of course, no air, poisonous red flakes falling from the sky, sharks, that’s just the beginning of a thriller that sees skin-heads and a Nazi plot started back at the end of the Second World War, trying to purify the world. Welcome to SecondWorld. Jeremy handles the plotting and pacing well, reminding me a lot of James Rollins. This book is a lot of fun and is very entertaining. My problem with the novel comes from some of the details that jarred me straight out of the story. To most readers this wouldn’t be a problem, but for me it was. An example was a .38 Super revolver being referred to as a hand-cannon, something that is a stretch for a yoga master. These errors and the inclusion of an overly obvious ending – not to spoil it, but add cryogenics and Nazis together and what cliche do you get? – and I had to downgrade my score on what was an otherwise entertaining read.